Associate Retail Operations has taken many of its members considering a remodel through Honeybee. 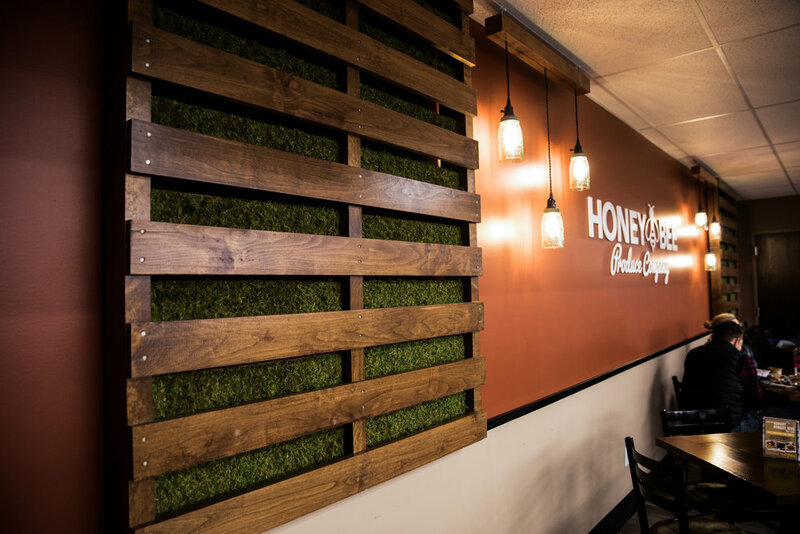 Decorworx has had more requests for packages that resemble Honeybee than any other recent project. 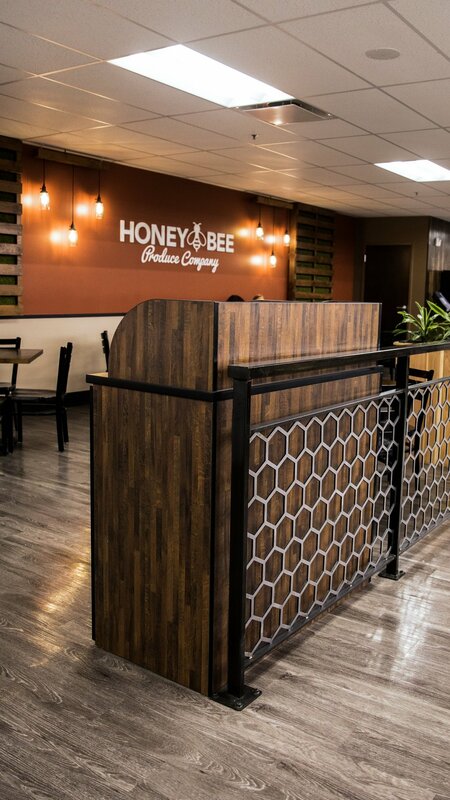 Honeybee Produce Company was a brand new store, focused on offering unique products and services, catering to the millennial generation. We created an eclectic decor package to go with the new store concept. 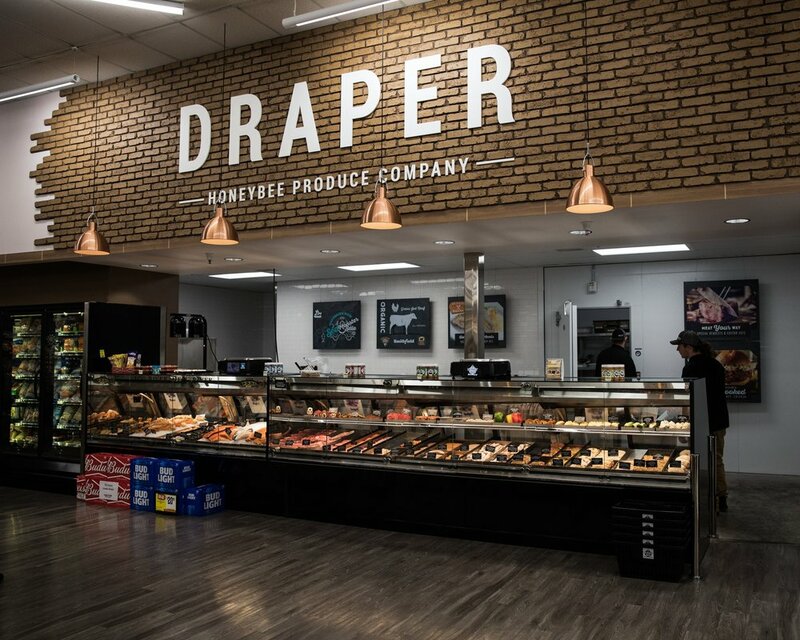 The Honeybee remodel was a rebranding of a Fresh Market, to make the store more appealing to younger shoppers looking for a variety of local produce and hard-to-find products. 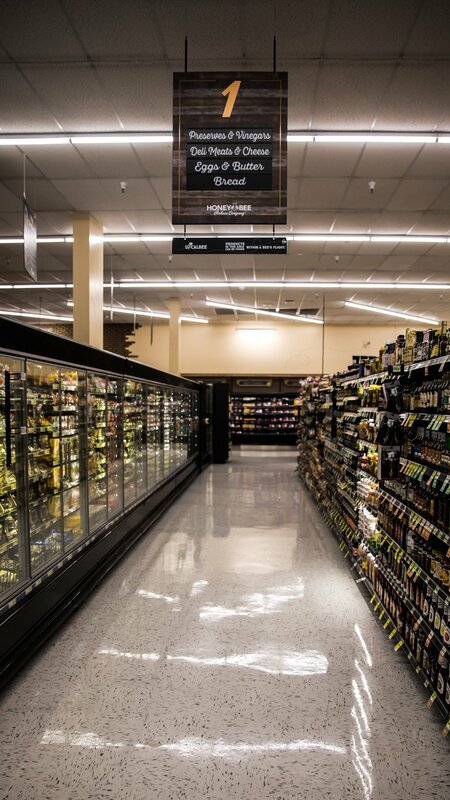 Decorworx designers spent hours coming up with new and different ways to make this grocery store truly one-of-a-kind. Instead of the standard "make each department a different color" and departmental product photos, the design featured wood, brick and metal textures and unique lighting. The major challenge in tackling Honeybee was to think outside the box. We would continuously ask ourselves, "Is this unique enough?" or "How can we make this stand out?" Honeybee wanted not only to have a unique store overall but to have each department unique. We used brick and wood textures with different washes in each department. The ornamental lighting is designed for each department. They wanted a fresh, urban rustic look. Sounds easy, but mixing urban and rustic was pretty challenging! We used our expert painters to create the different washes on the brick and wood textures. We even spent quite a long time to get just the right vintage looking bicycle to mount on the welcome wall in the vestibule. The wheels had to be used as the "oo" to spell out the word "food" so we not only had to find the right look for the bike but also wheels that were spaced right to accomplish this.